(2-LP set) "This recording of the final set at the Warfield Theatre brings to full circle the amazing advent of The Mahavishnu Orchestra In 1971, and its renaissance this night in San Francisco." mused the boundary-shattering guitarist John McLaughlin. On his farewell tour of America, which comprised of 25 concerts, John invited one of his favorite musicians, guitarist Jimmy Herring and his band “The Invisible Whip” to explore the timeless music he had created four decades ago. On November 16, 2018 , Abstract Logix issues Live in San Francisco – a souvenir of a sold-out concert at the historic Warfield Theatre, a beloved venue last visited by John McLaughlin thirty six years ago. In the 4th Dimension – Ranjit Barot (drums, konokol), Gary Husband (keyboards, drums), and Etienne M’Bappé (bass) and in The Invisible Whip – Kevin Scott (Bass), Matt Slocum (Clavinet and B3), Jason Crosby (Fender Rhodes, Violin, Vocals) and Jeff Sipe (Drums) – The Meeting of the Spirits tour featured a 9-piece orchestra that further amplified the seminal music he created in the 70’s, documented in albums – “Birds of Fire”, “Inner Mountain Flame” and “Visions of Emerald Beyond”. So connected are the nine members that the interplay approaches telepathic levels, making for powerfully evocative performances without any wasted gestures. Longtime fans will be thrilled to hear favorites like “Eternity’s Breath” (from Mahavishnu’s 1973 Visions of Emerald Beyond) and “Trilogy” (from 1973’s Between Nothingness And Eternity) reexamined through the lens of both the bands’ unparalleled sensitivity and astounding power. The September 2017 release of McLaughlin's Live @ Ronnie Scott’s was followed by the Meeting of the Spirits Tour – a series of November and December shows undertaken in collaboration with one of McLaughlin’s favorite musicians, American guitarist Jimmy Herring. 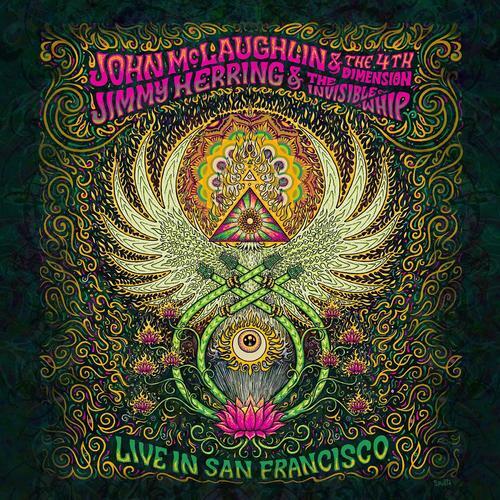 Separate sets by Jimmy Herring and the Invisible Whip and McLaughlin and the 4th Dimension were followed by the two joining forces for an expansive closing jam based on classic Mahavishnu Orchestra material. 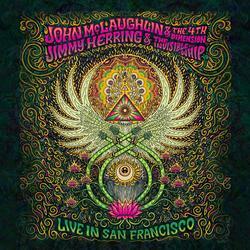 These special concerts also marked McLaughlin’s final shows in America. As such, Live in San Francisco offers a tantalizing document of the Meeting of the Spirits Tour. “Playing these timeless compositions with John and The Fourth Dimension was a life changing experience!,” wrote Jimmy Herring.